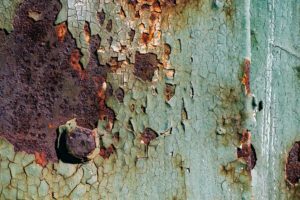 Which primers are best for rusted steel? Recoating aged and weathered coatings when proper prep is not always an option. MasticGrip 2500 is a surface tolerant, aluminum flake filled, mastic epoxy which can act as primer or finish. MasticGrip 2500 is an aluminum pigmented, low-stress, high-solids mastic with outstanding performance properties and offers . It has unique properties over conventional coatings because it wets out existing rust down to the steel substrate. MasticGrip 2500 coating in a number of industrial markets. Today it continues to provide unmatched levels of barrier protection and corrosion resistance over existing finishes and rusted steel; or is suitable for hand or power tool cleaned surfaces. MasticGrip 2500: What is the Labyrinth Effect? The Labyrinth effect essentially creates complex maze for moisture to not easily penetrate the coating. This is important because the rate of osmosis is a critical component to premature coating failure. MasticGrip 2500 utilizes aluminum flakes of various sizes which acts similar to a coat of armor for your substrate. The protection is effective against everyday abuse from UV, water, and chemicals. Why use MasticGrip 2500 as a “everywhere” primer? The low viscosity formulation enables it to wet out and penetrate rust down to the substrate, yet it’s high solids allows it to bond to a variety of aged coatings without crazing or lifting. In short, MasticGrip 2500 is the most dependable, robust protection for maintenance painting available. It’s the best primer choice for aged, weathered coatings that can’t be mechanically abraded. This primer/finish is the perfect solution for owner you would like to get five to ten more years out of an asset before a complete repaint down to bare steel. Comments Off on Which primers are best for rusted steel?